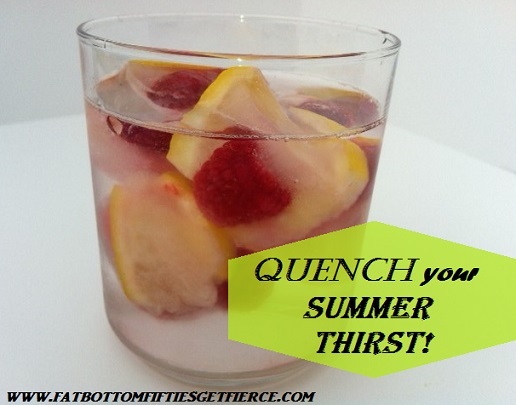 Is it possible to improve upon water for the best calorie-free thirst quencher this summer? Yes! If you don’t believe me, check out some of these zippy additions that take water to water plus! I saw an ad for a ‘fruit infused’ water bottle and wasn’t impressed because people have been squeezing lemons in their water for years. 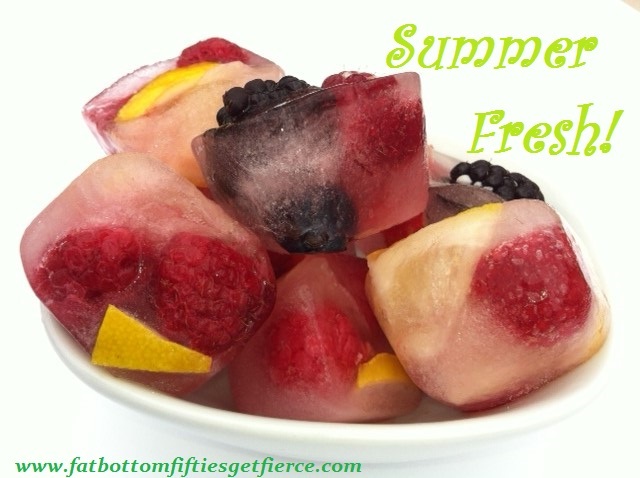 Then I saw ice cubes with fruit in it and thought it looked very appealing. But did it make a flavor difference? I decided to put together a few combinations and see for myself. I started out with four different combinations. 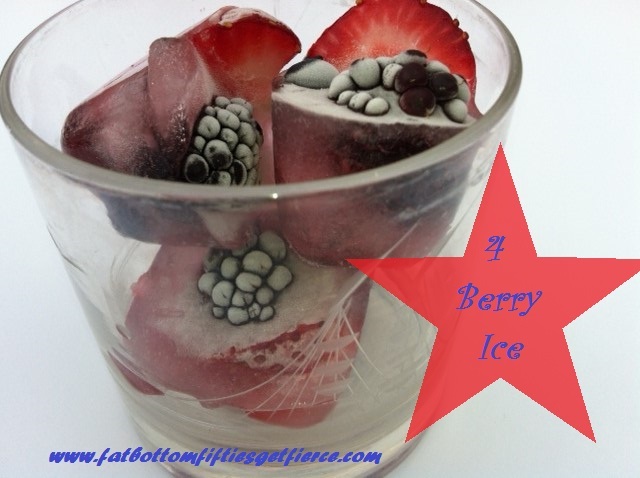 Then I threw in a couple of bing cherries just because I thought they’d look cool in ice. And wouldn’t that pit be a surprise for an unsuspecting guest?? I kind of liked the basil (above) and thyme (below) sticking out a bit – I thought it gave it character! I used blackberries, strawberries, blueberries and raspberries. The mix in the bowl includes a Raspberry and Lemon Slice combo that didn’t get it’s own picture. I consider this experiment a success! 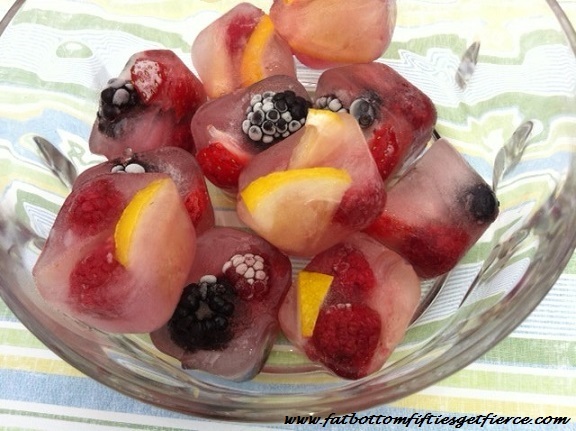 First, the fruit-filled ice cubes were a feast for the eyes that screamed: Refreshing! Second, I really enjoyed the flavors. 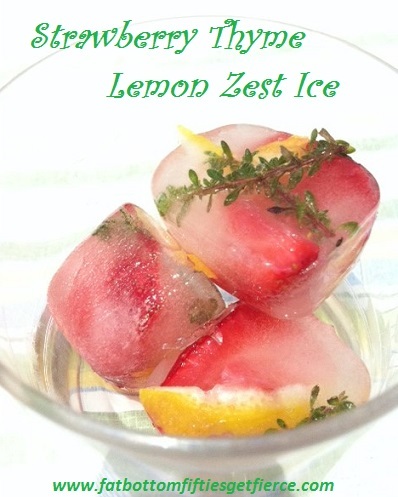 I was surprised that the sweetness of the fruit came through as well as the tang from the lemon or zest. 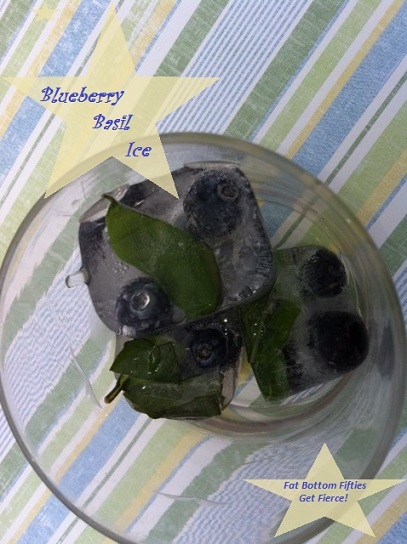 What an easy way to jazz up plain ‘ol water! 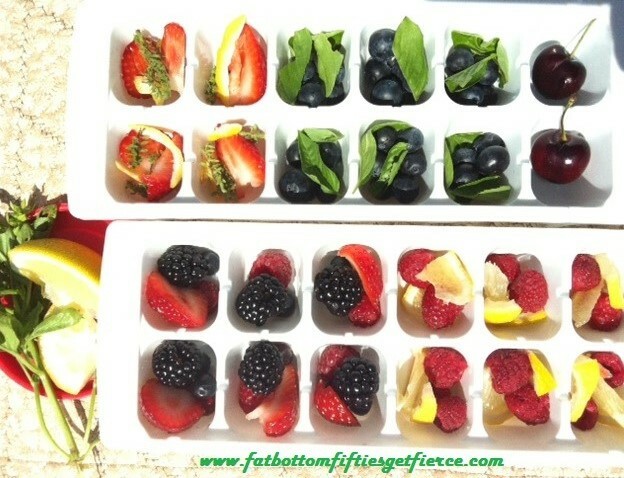 And the fruit cubes practically turned my Le Croix Sparkling Waters into soda pops! I’m already planning what flavors to try next. Maybe cucumber with lime. Or cucumber with basil Or both. HAVE ANY IDEAS FOR SOME GOOD FLAVOR COMBOS?